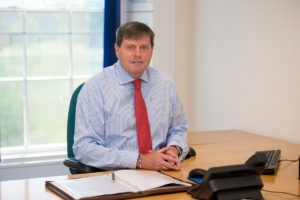 Police and Crime Commissioner, Peter McCall has received the unanimous support of the Police and Crime Panel on the proposal to increase the policing element of the council tax precept. The proposal has also received wide support from the public as part of the wider consultation. It is proposed that the policing council tax precept will be increased by £2 per month for a band D property. It should be noted that in Cumbria, the largest number of properties fall into band B for whom the increase will be £1.55 per month or 36p per week. 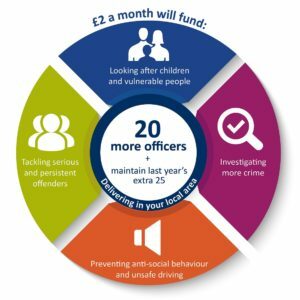 The increase is in line with the Government allowing Police and Crime Commissioners greater flexibility to increase council tax levels to help maintain police budgets and the service that the police provide. Police and Crime Commissioner, Peter McCall said: “I am grateful that the Police and Crime Panel on Monday gave their unanimous support recognising the need to increase in council tax precept. The public consultation has now finished and more than 70% of the public have also indicated their support for which I am grateful. “It is a very reluctant decision to propose any increase in the police precept and of course, I would prefer not to have to raise the precept at all; but I have to be realistic and honest with the public. The reality is that if we want to retain our police officer numbers and indeed increase them to meet rising demand on services, we have to be prepared to pay a bit more. Not only do we have to keep pace with inflation, but policing needs constant investment to stay ahead of the changing nature of crime. “Cumbria is one of the safest counties in the country and as Police and Crime Commissioner I am committed to keeping it that way. The additional revenue will allow us to build on the investment we have already made in our policing service by adding 25 extra police officers last year. These extra officers are already making a real difference pursuing criminals proactively in our neighbourhoods. “I do not think it is fair to ask residents to pay more and not see more, and this rise will allow us to recruit another 20 officers, giving us even more ability to tackle serious crime, dealing with the issues which matter most to you in your local area, including preventing anti-social behaviour and unsafe driving, looking after children and vulnerable people, investigating serious crime and county lines and tackling serious and persistent offenders. “This makes Cumbria one of the few counties in the country where officer numbers are increasing, so that we keep our county as one of the safest places to live and work.